These are mixed packages of irregular sized pieces of oilcloth. We know that many of you use oilcloth for craft and sewing projects and this is a great chance to get a number of different patterns and colours. 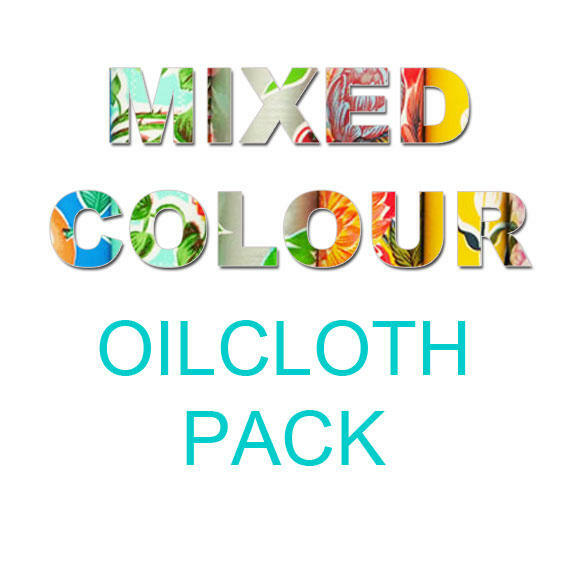 This pack consists of a minimum of 100cm x 120cm of oilcloth with at least 5 different patterns. Individual pieces range from 20 x 30cm upwards. You will receive a selection including any of the following colours - red, blue, orange, green, yellow, turquoise, pink, silver, black. The pack may contain lace and spotty patterns as well as Mexican prints.